Fifteen months, nine dead children. Between January 1, 1976 and the end of March, 1977 nine children were murdered in the Detroit area. Six of those murders remain unsolved. From January 1, 1976 through the end of March 1977 the metro Detroit area was the site of nine child murders. Three of those cases are resolved, but the other six cases remain open. Most of these deaths are attributed to the as yet unidentified Oakland County Child Killer. 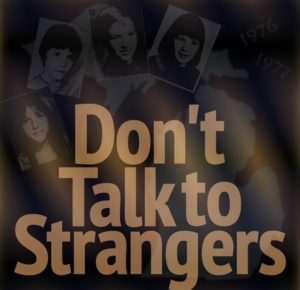 Don’t Talk To Strangers is a long form podcast focusing on this series of unresolved child murders. Join us as we explore the stories of these young victims, impact on the community and what happened to the investigation into these crimes.